It's been 20 years since the 'June 4 Tiananmen Massacre' in 1989. With the passage of time, the incident has gradually faded from many peoples' memories. But some of those who lost loved ones in the massacre are still fighting for justice. When the founder of the 'Tiananmen Mothers’' movement, former philosophy professor of the People's University of China, Prof. Ding Zilin recently accepted an interview from Voice of America (VOA) on April 7, 2009, she mentioned for the first time that the tragedy of the June 4 Massacre was a tragedy of the system caused by an authoritarian regime. Therefore, the June 4 issue can not be resolved under the current authoritarian regime. Prof. Ding related the details before and after her son's death. She said that even though 20 years have passed since the June 4 incident, the sorrow and pain have not subsided, but in fact, worsen as she gets older each year. She lives with the grim prospect of carrying it to the grave. Prof. Ding said that people in the same situation comfort, encourage and support each other, which lends her the strength and support to carry on. China’s State Security Department stated that professor Ding was being used when she accepted interviews from western media. Ms. Ding doesn't think she is 'being used'” at all. Quite the contrary, she thanks the media for giving her an opportunity to speak out. 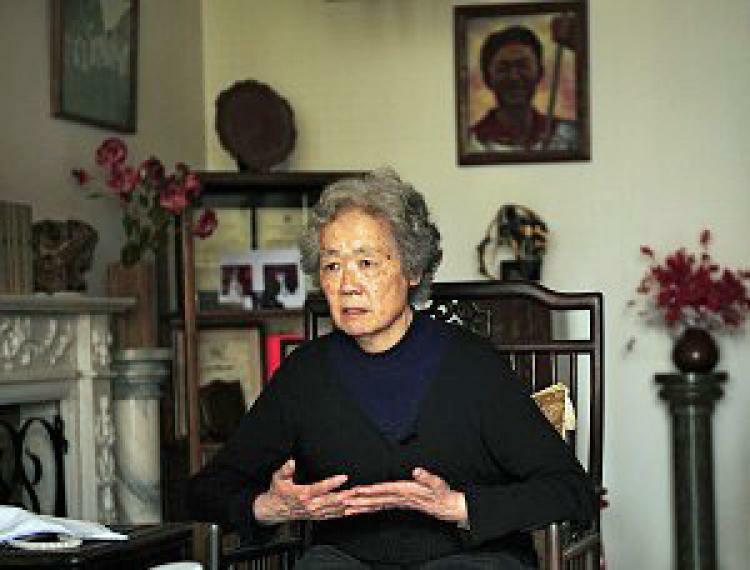 Ms. Ding also mentioned for the first time that the June 4 tragedy is a tragedy of the system caused by its authoritarianism, and under that system, Deng Xiaoping could order 300,000 soldiers to kill. If it were not for the system, it would not have been possible, so it was an issue of the system. Ms. Ding also expressed that it would not be possible to resolve the June 4 issue under the current totalitarian system. Ms. Ding has been traveling for many years to fight for justice for her son. She has been arrested, followed and verbally abused by State Security Department agents. She said that the only thing she cares about is to try her best to do something to reconcile the incident as long as she lives, that's the most important.